Originally Posted 11/2/13. Ok…can we talk about how in style Daria is at the moment?!? The Daria series hails from the 90s, when post-grunge was really in. I mean, come on. Her green utility jacket, pleated skirt, combat boots, and hipster glasses are basically complete wardrobe staples right now. It was an extremely convenient choice as a Halloween costume this year, while paying homage to everyone’s favorite sarcastic outcast. My apologies for another iPhone party pic, but you get the idea. Please. It’s a Halloween party, I had other priorities. The glasses were a last-minute purchase from Forever21, and the tank top is an old white cami that I dyed myself in an hour using RIT Dye. Everything else I already owned. 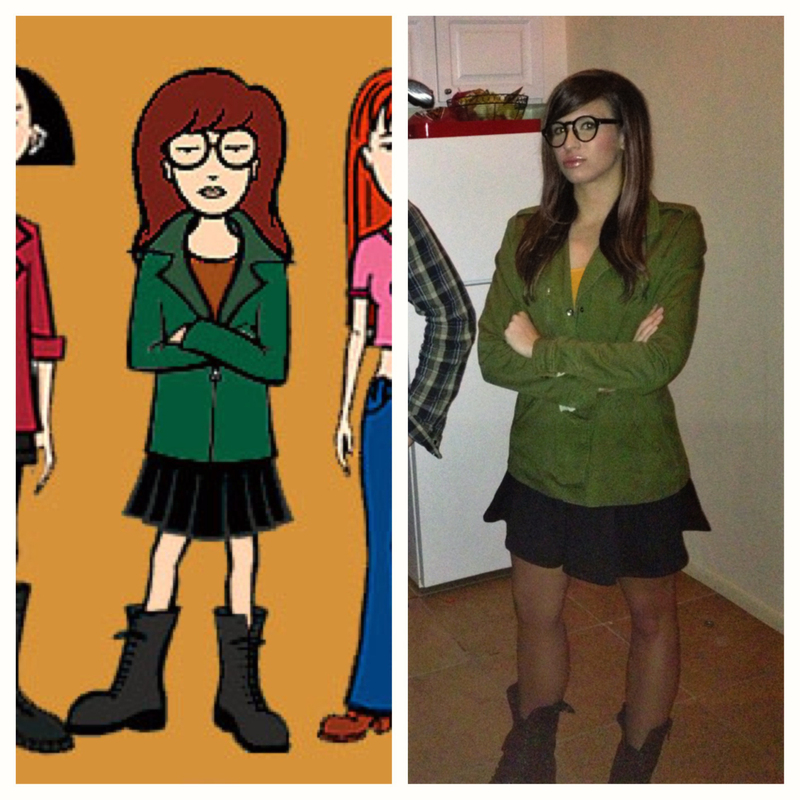 Daria is a classic if you watched MTV in the 90s, and it couldn’t have been easier to throw together for last-minute Halloween plans. Like. Totally.